Business Class. 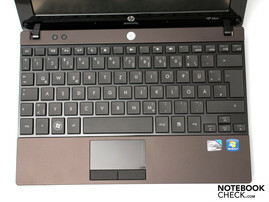 HP refreshes the Mini 5103 and installs the latest Intel Atom N550 chip. Highlights are the solid case available in "Espresso", a 10.1 inch touchscreen, UMTS and the generous island style keyboard. At a steep price beyond 500 euro, you still have to live without USB 3.0 and ExpressCard34. HP gives the Mini 5103 business netbook new innards, whereby the predecessor's case is still used. It can score with an elegant, and at the same time, business suitable appearance. Thus, it's no wonder that other manufacturers follow its tracks. An example would be Asus' Eee PC 1016P with an aluminum case, which is supposed to be aimed at the same target group. Another novelty is the color alternative that is called "Espresso" – a combination of black and anthracite. The HP Mini 5103-WK472EA is the newest, and also the only model of this series with the latest Intel Atom N550 dual core processor (2x 1.5 GHz). 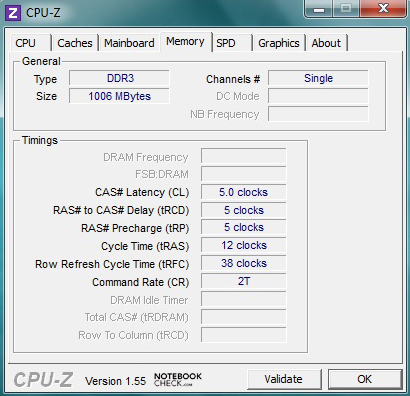 The basics of a 1 GB DDR3-10600S RAM (1333 @ 1066 MHz) and a 250 GB hard disk is the same in all models. HP offers a wide range of configuration options to cover all customer wishes. However, it also lets the final price quickly skyrocket into the field of large notebooks. Of these features, our test device has a 10.1 inch touchscreen (capacitive) with a native resolution of 1024x600 pixels and a transreflective surface, an installed UMTS module for mobile internet use and Windows 7 Home Premium (32 bit) for the operating system. Other options, which our device doesn't include, are a 10.1 inch display with a native resolution of 1366x768 pixels (non-touch, matt) with a matt surface and a Broadcom Crystal HD decoder. 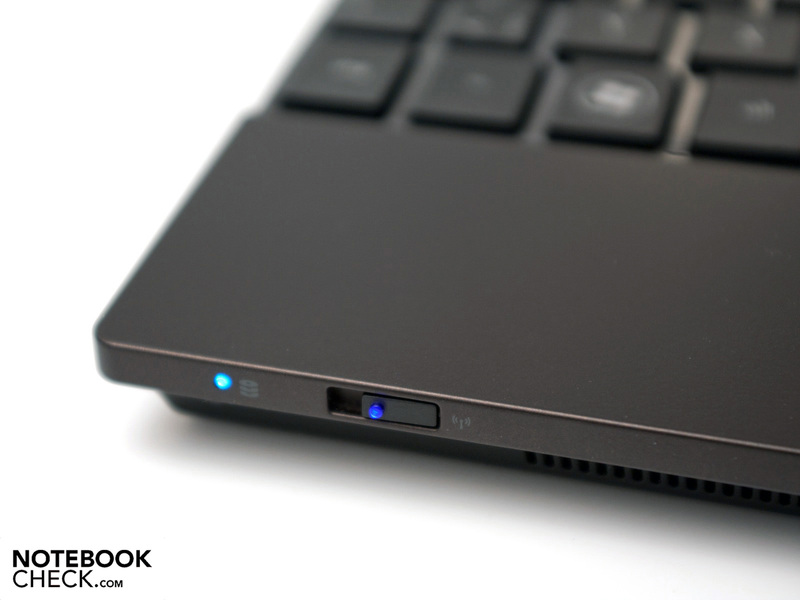 These expansions are also available for the weaker devices with Intel's Atom N455 (single core, 1.66 GHz). The HP Mini 5103-WK472EA is now available, whereby a delivery time of 1 to 2 weeks is declared via HP Store Germany. The entry price for the new top model is about 637 euro. The smaller models with Intel's Atom N455 are already available starting at 405 euro, including value added tax. The favored, as well as tested and tried, case of HP's Mini 5101 netbook has been taken and freshened up by an additional color. It is called "Espresso" and is a combination of black and anthracite. There are also models in red and blue in the portfolio, whereas they don't reflect the classic business character. The case is made of an aluminum-magnesium compound. The high-end materials bestow top rate haptics and material looks. Especially the parts made with the magnesium alloy parts are convincing due to a velvety feel, a light build and good stability. The aluminum display lid underlines the cool and unadorned business look even more. 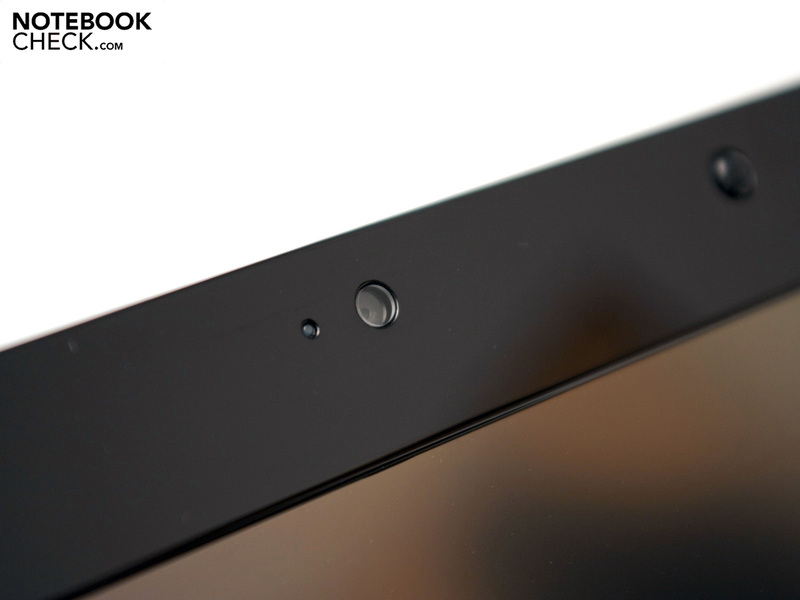 Plastic elements in the keyboard and display bezel area provide a nice contrast and freshen up the design. Nevertheless, omitting high-gloss case parts would have been advantageous for everyday use. The wrist-rest also has a rubberized surface, which increases its resistance. Dust and other kinds of dirt are concealed well. The display bezel has a good stability, which is reinforced by a large, brushed aluminum plate. Selective pressure on the display lid hardly creates image distortions. Slight noises are noticed when the display is twisted. They are likely created by friction of single components. Small display hinges don't inevitably indicate a poor grip. Despite the small size, both used hinges don't have any problems with the 10.1 inch display and makes it possible to position it without teetering. Moreover, they are impressive in a closed state since there is no extra latch for closing. The dimensions haven't changed in comparison to its predecessor (26.2x18.0x2.5 centimeters – BxHxT). The weight of 1.37 kilograms is in a slightly higher field, whereas this is due to the large 6 cell battery with 66 watt hours. Despite the high demand on a business device, the connectivity isn't especially large and relates to simple consumer notebooks in the range of 300 euro. An analog video jack (VGA), three USB 2.0 ports, RJ45 network socket, power socket for the included adapter, audio jacks without S/PDIF function, Kensington lock and the standard 3in1 cardreader (SD, SDHC, MMC) are on the case sides. Although it's been refreshed, you still have to live without one or more USB 3.0 ports, an ExpressCard slot or an eSATA port. Expansions via ExpressCards are usually of great importance especially for the targeted group. New video interfaces (HDMI, mini display port) can't be linked directly over the used Pine Trail platform. However, the good transmission via the VGA (1920x1200 pixels) is an advantage. The port distribution is good and nothing unusual. As the new top model, the HP Mini 5103 is equipped with all communication options. Aside from Gigabit Ethernet from Marvell Yukon (model: 88E8059), the latest WLAN standard (802.11 a/b/g/draft n) from Broadcom is included. Bluetooth 2.1+EDR also supports mobile data sharing with the smartphone or tablet. Mobile internet is just as possible with the 3G UMTS module (HSDPA). The controller is listed as HP un2420, whereby it's actually a Gobi 2000 module, which additionally supports localization via GPS. The security features in the HP Mini 5103 are impressive. 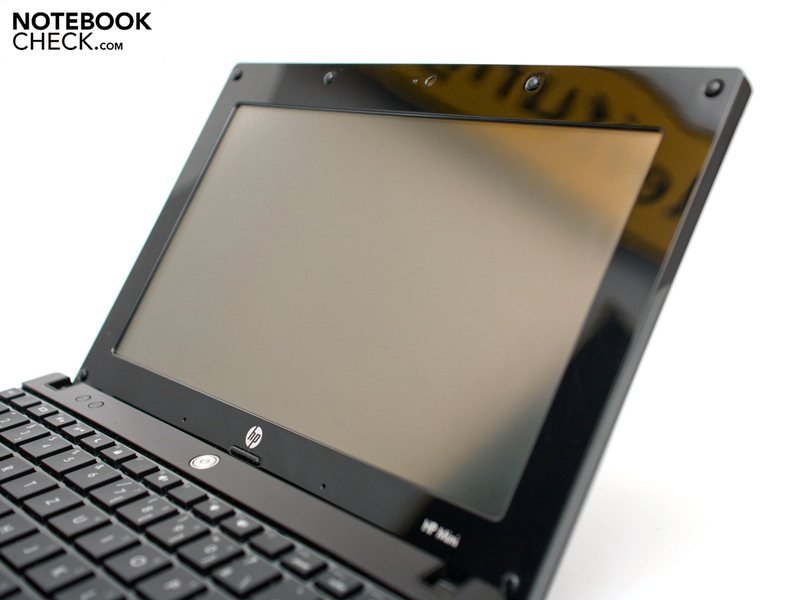 Apart from face recognition with the webcam via HP's ProtectTools, the device supports Computrace LoJack. The device can be traced, respectively localized in case of theft with this software. 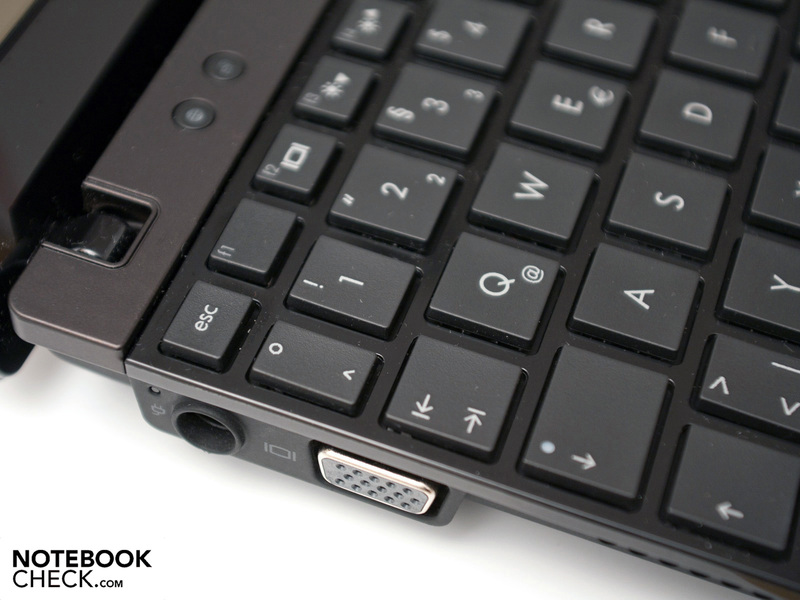 The netbook is equipped with a Kensington lock on the right for general security. 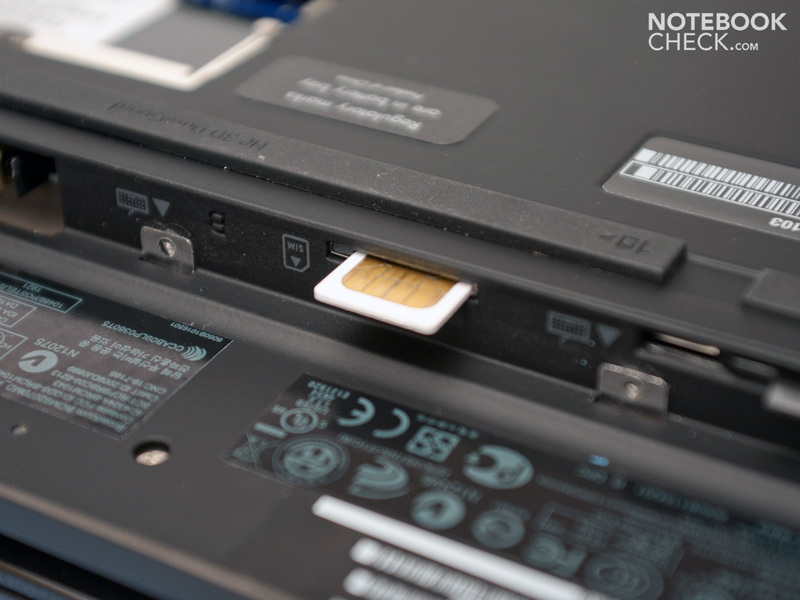 Any favored netbook locks can be connected to it. 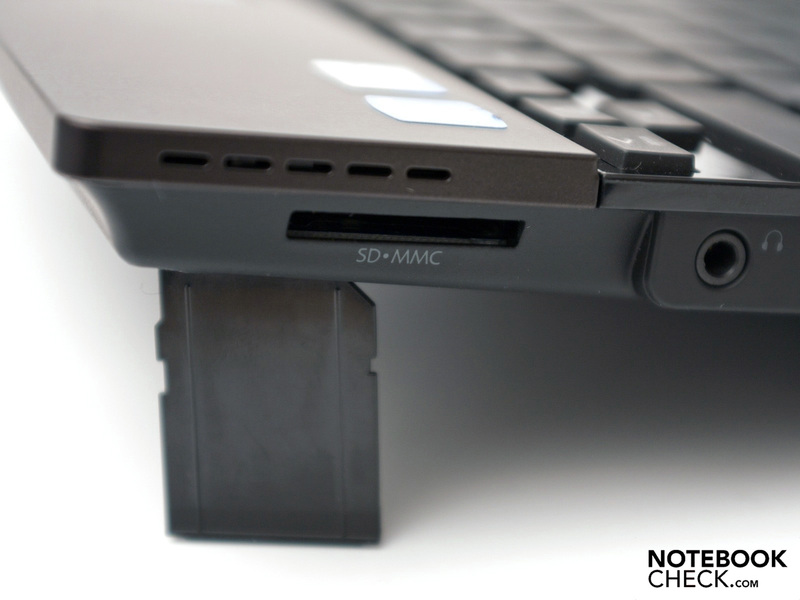 HP's 3D DriveGuard, an accelerometer, is responsible for data security. In case of unusual movements, the read and write heads are parked so that the hard disk isn't damage in case of a drop. The scope of delivery turns out poor despite the high entry price. Supplementary products have to be bought separately. 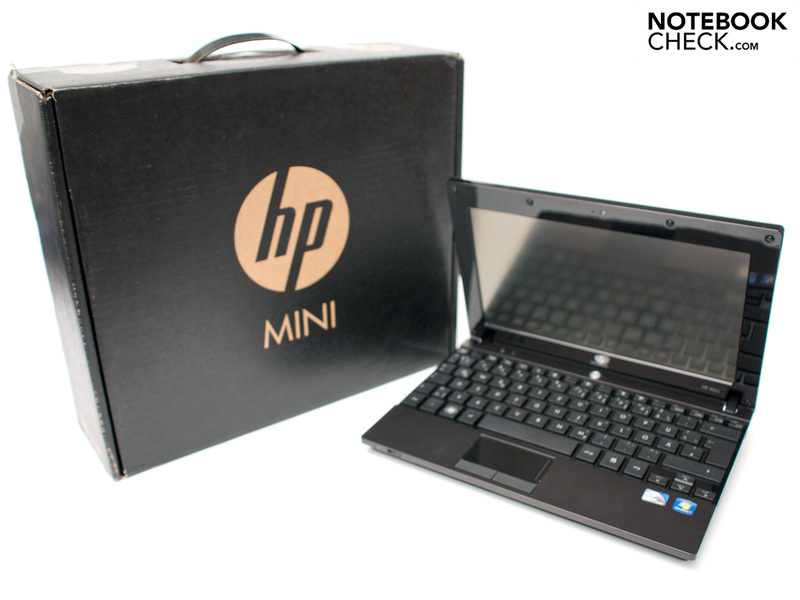 Beside the HP Mini, you'll find the matching adapter with European power cable, the large 6 cell battery with 66 watt hours, various manuals and instructions and two DVDs for recovering the operating system, as well as for programs and drivers. The optionally available supplies over the HP Store are even larger and you can find everything starting with a small case up to a large projector for over 400 euro. Overall, the offer is very vast, but similar products from third-party manufacturers are partly cheaper. Untypical for this category is the short warranty period of only 12 months. HP bids a so-called Care Pack for a longer warranty period, whereas the warranty can be extended to a maximum of 3 years (36 months). This premium service includes a pickup service for the next business day. Sounds good, but has its price: about 187 euro. There is no extension to 24 months in the program. 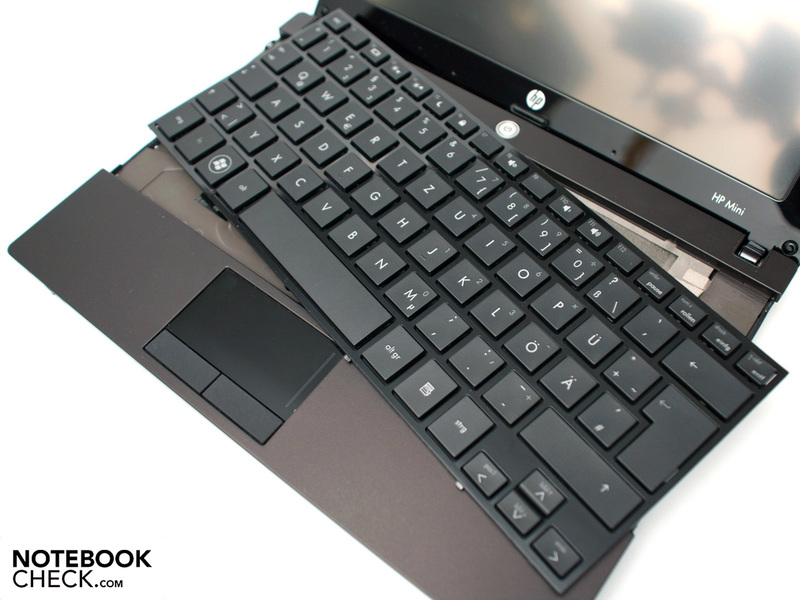 A netbook often is impaired in its keyboard due to the small construction size. 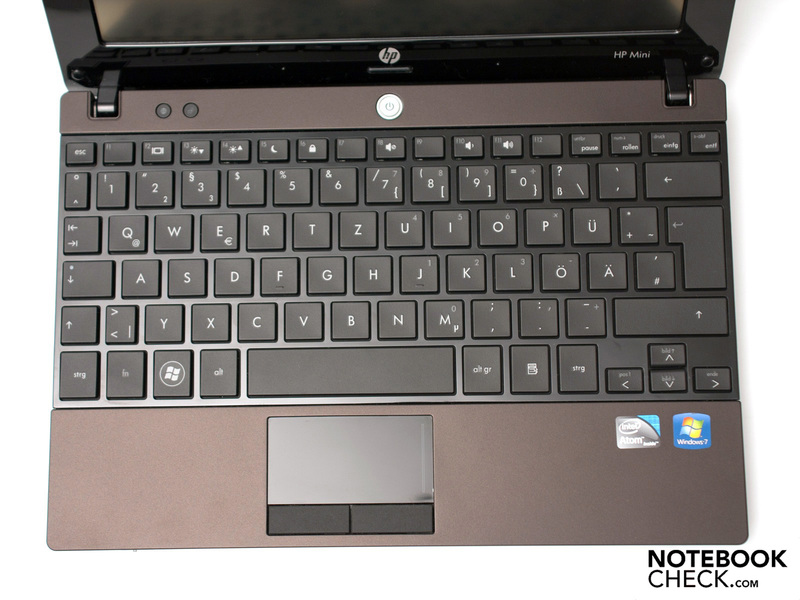 HP takes a different way in this field and uses almost the entire case width for the keyboard. Consequently, a more generous keyboard layout is created (island style – single keys) with a touch surface of 14x14 millimeters per key. Especially the large right shift key is very pleasant with its not too spongy pressure point and short keystroke length. The number "1" key has to be reproached as it has been made considerably smaller than the other keys. This could lead to more frequent typing mistakes. You can accommodate quickly and touch typing isn't a problem. The low noise development and two hot keys above the keyboard for calling up the internet browser and an email program underline the professional alignment. The touchpad has been exactly copied from the predecessor. Thus, HP Mini 5101's reproach can also be adopted. The very smooth surface's gliding traits aren't convincing and the small build limits the use as a mouse replacement. A vertical scroll field exists but the Synaptics' touchpad (v7.4) doesn't support multi-touch gestures. The mouse keys bid pleasant haptics due to the rubberized surface, but the feedback isn't clear. The separate mouse keys have to be given credit. 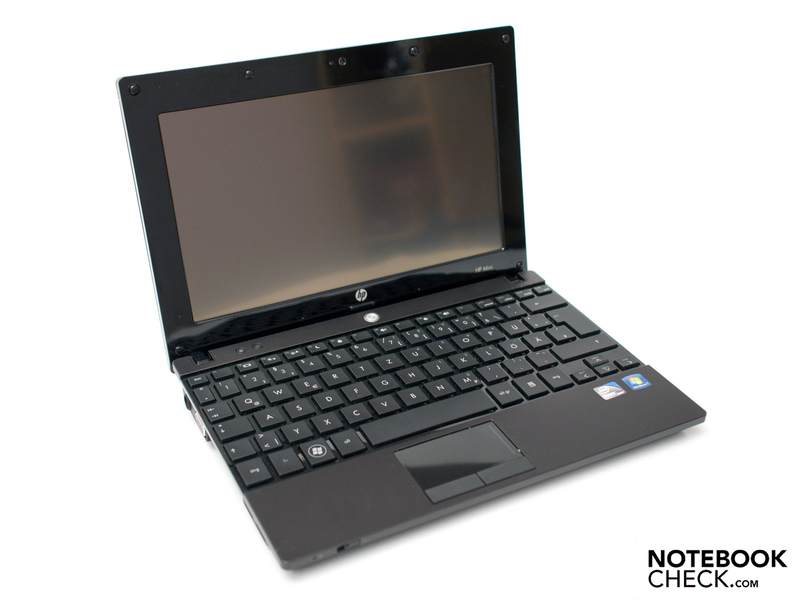 If desired, the HP Mini 5103 is also available with a touchscreen, just like our test device. It is a capacitive 10 inch touchscreen with a native resolution of 1024x600 pixels. HP regrettably only offers the high resolution display as a non-touch alternative. After a quick calibration via a Windows' program the display can be touched spryly. The input is very precise and a virtual keyboard helps inputting texts or URLs. The multi-touch support is pleasing. With this trait, you can for example scroll or jump back and forth in the browser's chronic. The touchscreen is overall convincing. However, it's general viability is questionable because a pure table or a convertible, such as Dell's new Inspiron Duo, appears to make more sense. You are spoilt for choice in terms of displays. There are two alternatives available, which have their upsides, as well as downsides. On the one hand, there is a 10.1 inch HD display with a native resolution of 1366x768 pixels and a matt surface. On the other, the 10.1 touchscreen (display: LGD029F) that we tested. It regrettably only has 1024x600 pixels and the surface isn't "matt". It is a transflective display that partly absorbs light from the surroundings and thus makes a better legibility possible. The surface texture is a compromise of a smooth and a velvety screen with a matt surface. Small LEDs are responsible for illuminating the entire surface. They provide a good, but not overwhelming performance. A maximum rate of 193 cd/m2 and the average of 168.8 cd/m2 are acceptable. However, the HP Mini 5101's matt display bids a better brightness. The display's subjective color reproduction is alright, but the colors lack a bit of brilliancy. The contrast of 129:1 is rather low due to a high black value of 1.29 cd/m2, whereby black reproduction isn't possible. The illumination of the entire screen isn't great. A result of 79 percent is caused by a strong brightness decrease (193 to 153 cd/m2) in the upper screen area. It's not visible during use, though. Outdoor use is quite possible despite the moderate rates. The content is legible in direct light, whereas the light source makes a part of the screen (selectively) illegible. Reflections from the surroundings are reduced by the almost matt surface. Use in a shadowy place, or in a room with an indirect light source is either not at all, or only to an extent limited due to reflections. If you don't need the touchscreen, the matt HD screen is worth consideration, not least because of its higher resolution. The viewing angle stability isn't convincing, or only to an extent. The displayed image remains stable along the horizontal viewing plane stable even in flat angles. However, the color intensity diminishes slightly. The user can hardly move vertically because the image inverts quite fast and displayed color change visibly. The Mini 5103-WK472EA is the new top model on the German market and thus the only alternative with the latest Intel Atom N550 dual core processor (2x1.5 GHz, 4 threads, 1 MB L2 cache). 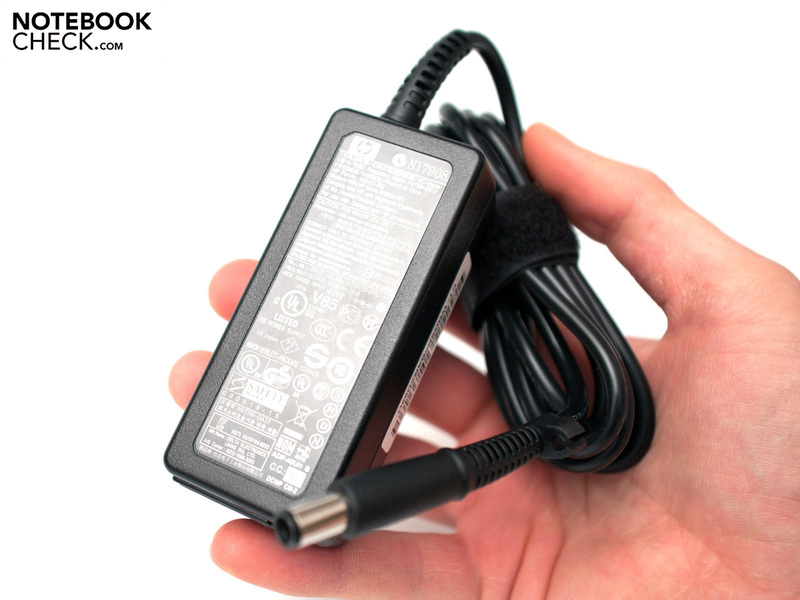 It has an increased office performance linked to an acceptable power loss (TDP) of 8.5 watts. 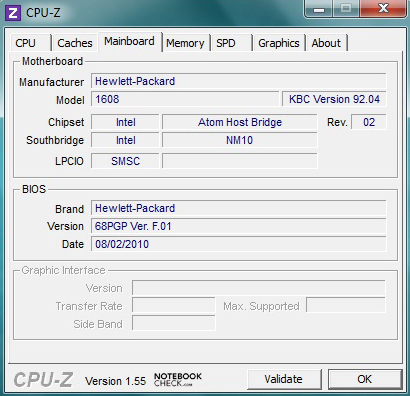 The used components are still based on Intel's Pine Trail platform, which is especially tailored for netbooks. A drawback is the poor connectivity, respectively the lack of support for an HDMI interface. 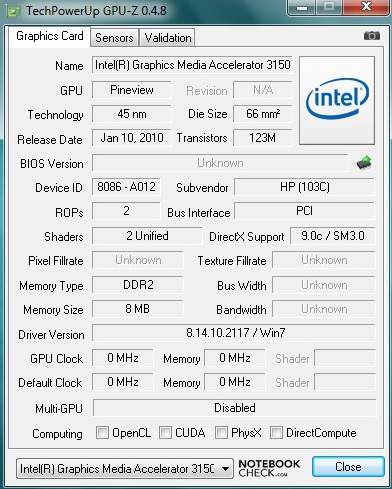 Intel's Graphics Media Accelerator (GMA) 3150 is responsible for the graphics. 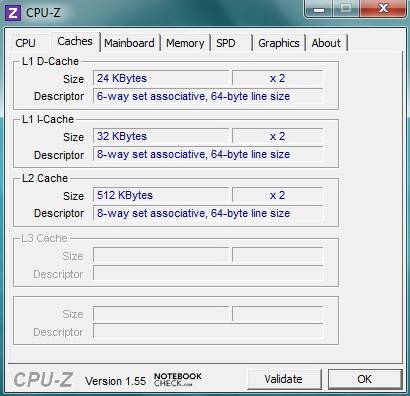 This graphics is incorporated in the processor and has a low core clock of only 200 MHz. The HP Mini's performance should be apt for the targeted group. Small multimedia applications shouldn't be a problem for the components, either. The driver, 8.14.10.2117, is installed ex-factory and all tests were executed with it. The latest version, 8.14.10.2230, released on 10/24/2010 can be found in Intel's download center. A fast hard disk with a gross capacity of 250 GB and a 1 GB DDR3 10600S RAM with a clock rate of 1066 MHz also belongs to the hardware array. The hard disk's extendability isn't limited, but it is a bit difficult. The RAM can be replaced quickly, although the capacity is quickly exhausted with 2 GB on one bank. A RAM upgrade and a solid state drive would be feasible for the maximum performance boost. However, this intention would include high costs for the drive. 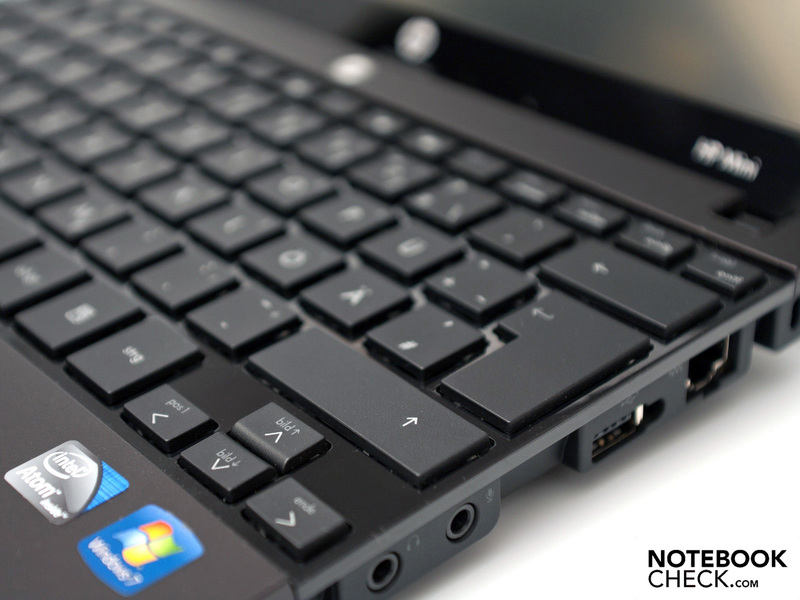 For comparing the performance of the installed components, we sent the netbook through our comprehensive benchmark course. The application performance can be compared with Cinebench R10 and Futuremark PCMark, among others. Our test configuration achieved good 1569 points in the latest PCMark Vantage. Thus, it's on par with the Asus Lamborghini VX6 N netbook with Intel's Atom D525 and Nvidia's ION 2 graphics unit, in terms of points. 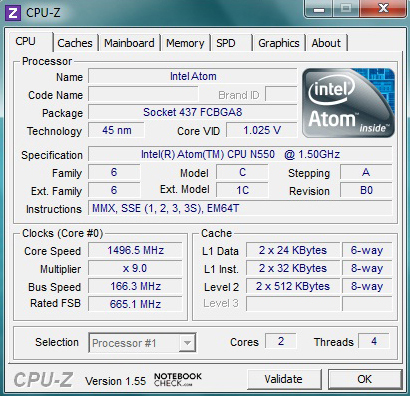 The immediate rival, Asus Eee PC 1016P, with a weaker Intel Atom N455 processor, lags clearly behind with a total score of 1230 points. Current 3D games don't belong to the HP Mini 5103-WK472EA's performance range. 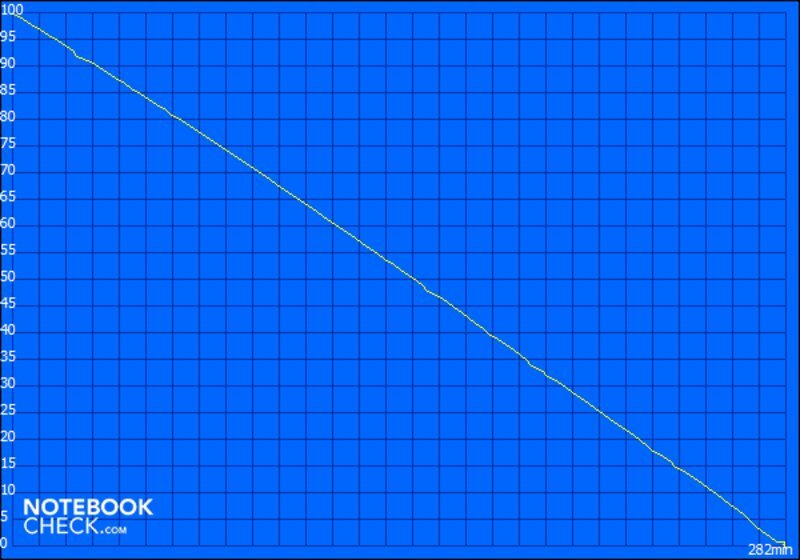 3DMark 06 verifies this with a poor result of 140 points, which doesn't stand out from the broad mass. Acer's Aspire One D255 and older devices with Intel's Atom N450 or N455 CPUs are on the same performance level. 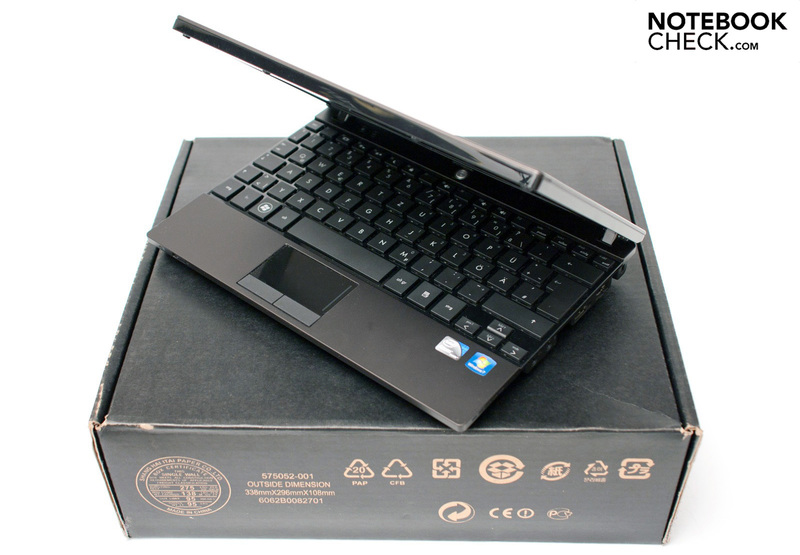 For example, the Samsung NP-N220 or the chic Lenovo IdeaPad S10-3 netbook belong to these. 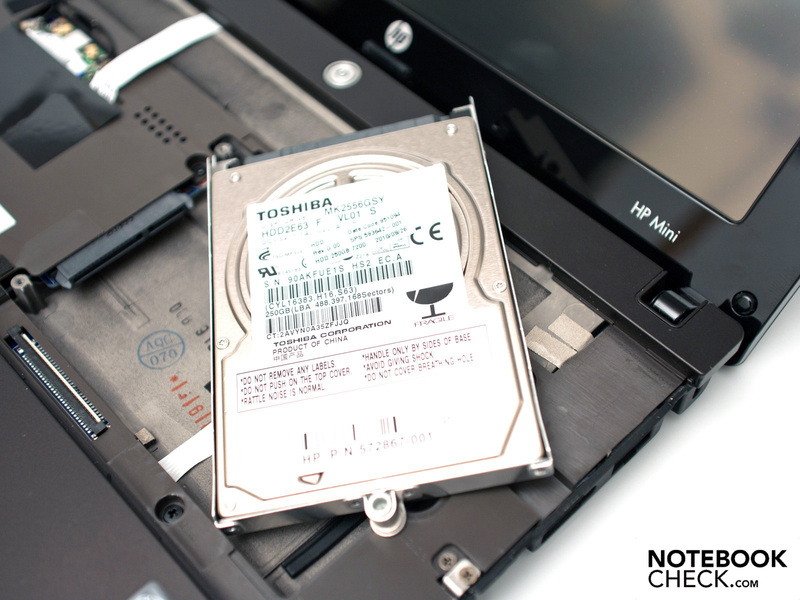 HP uses a fast 2.5 inch hard disk from Toshiba as the memory unit. It has a maximum of 7200 revolutions per minute and a gross capacity of 250 GBs. The MK2556GSY bids a convincing drive behavior and good transfer rates due to a good decoupling. 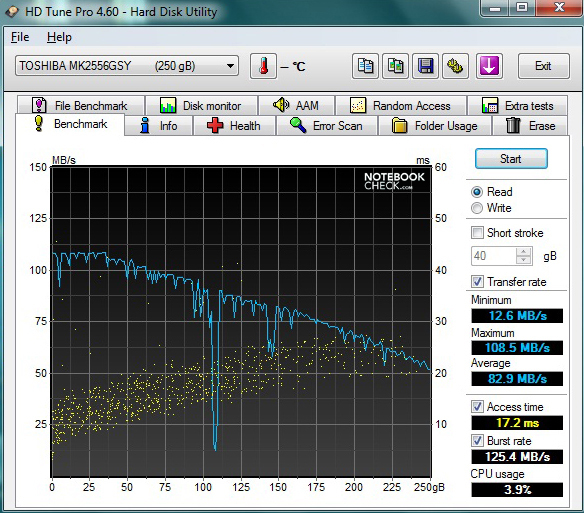 HDTune Pro 4.6's benchmark awards a good maximum result of 108.5 MB per second (read), which is impressive. 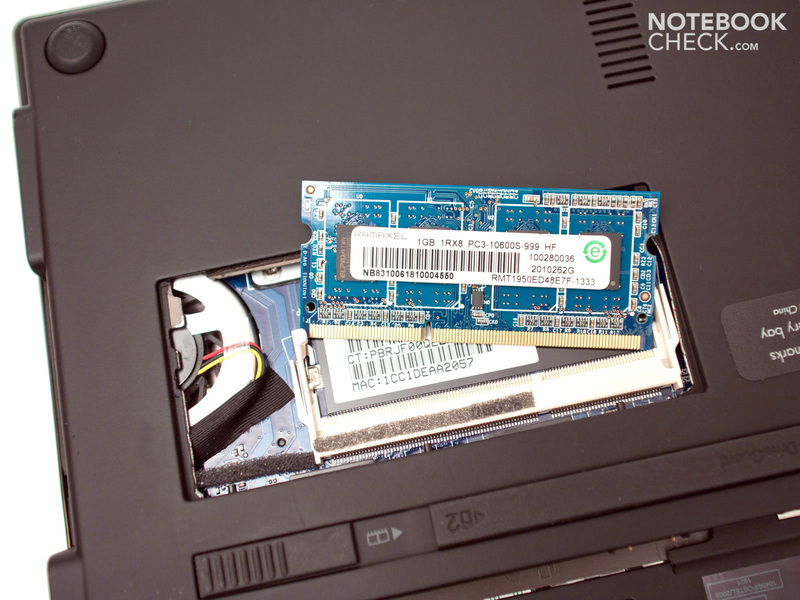 Replacing it with a cutting-edge solid state drive (SSD) is possible after removing the keyboard. It requires a bit of dexterity, though. Any preferred 2.5 inch drive with a construction height of 9.5 millimeters fits into this bay. HD rendering is possible due to the stronger processor. However, the device meets its limits with FullHD materials (width of 1920 pixels). 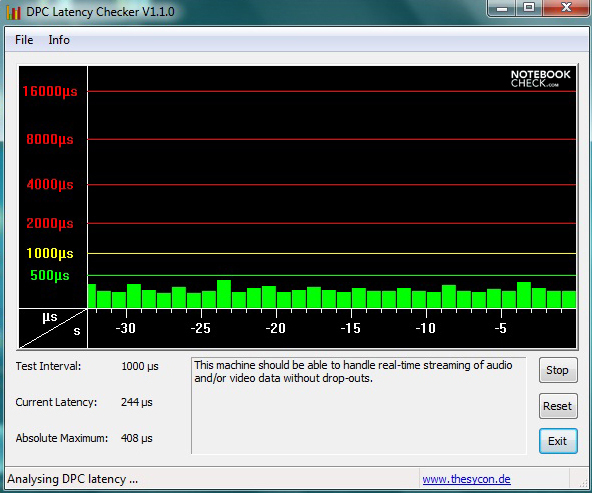 Flash videos via the video platform, YouTube, can be played in 720p (1280x534 pixels, 423 kbps) without problems. However, the average frame rate of 22 fps is at the limit of smooth rendering. Slight freeze frame interruptions are noticed in a resolution of 1920x800 pixels (1080p, 423 kbps). This is confirmed by a frame rate between 12 and 16 fps. This conduct also applies to local rendering of HD. 264 HD videos. Thus, a smooth rendering is possible up to a maximum of 720p. The HP Mini 5103 isn't made for games and gaming ambitions should be kept to a minimum. Simple games, such as TrackMania Nations Forever, can be rendered fairly smoothly when the resolution is reduced to 640x480 pixels. 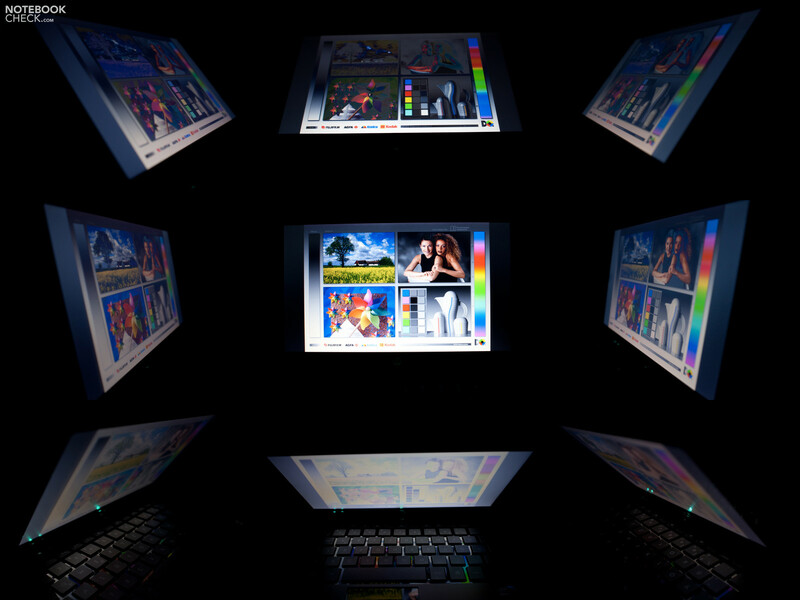 Netbooks with a stronger graphics unit should be used for higher demands. AMD's Radeon HD 4250, Intel's GMA HD or Nvidia's ION 2 graphics unit would be an option. A fast hard disk and a small fan provide for an audible soundscape, beside speed and cooling. The fan emits a maximum of 31.9 dB(A) in idle. The fan is always active and a silent operation isn't noticed. The hard disk rotates almost silently with 30.7 dB(A), which is remarkable for 7200 revolutions per minute. The noise level increases under load and we can measure a maximum of 36.5 dB(A). However, this level is constant. This behavior might get annoying in the long run, but is hardly achieved in practical use. 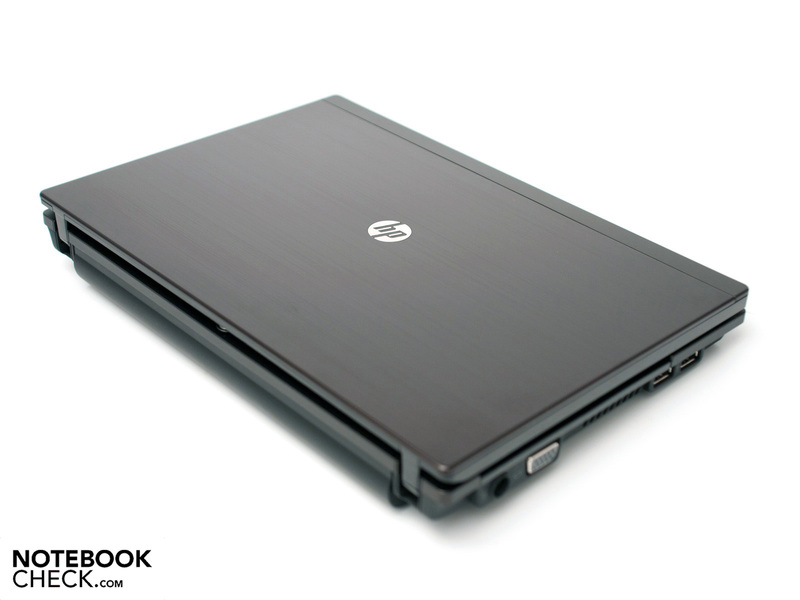 HP has improved the cooling and its emissions in comparison to the predecessor. The measured temperatures are basically acceptable and the top's ergonomics (wrist-rest and keyboard) aren't impaired. We measured a maximum 30.1 degrees Celsius after an extensive stress test. A slight temperature increase was felt at most, which wasn't unpleasant due to the velvety case. This positive characteristic can also be applied to the bottom, where the maximum temperature is 34.1 degrees Celsius. (+) The average temperature for the upper side under maximal load is 27.7 °C / 82 F, compared to the average of 29.8 °C / 86 F for the devices in the class Netbook. 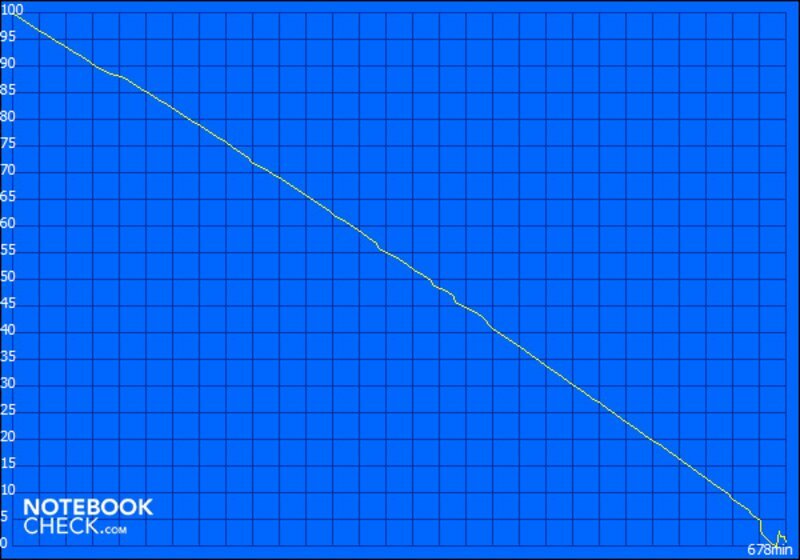 (+) The maximum temperature on the upper side is 30.1 °C / 86 F, compared to the average of 33 °C / 91 F, ranging from 21.6 to 53.2 °C for the class Netbook. (+) In idle usage, the average temperature for the upper side is 25.4 °C / 78 F, compared to the device average of 29.8 °C / 86 F.
(±) The average temperature of the palmrest area of similar devices was 29.3 °C / 84.7 F (-0.3 °C / -0.6 F). 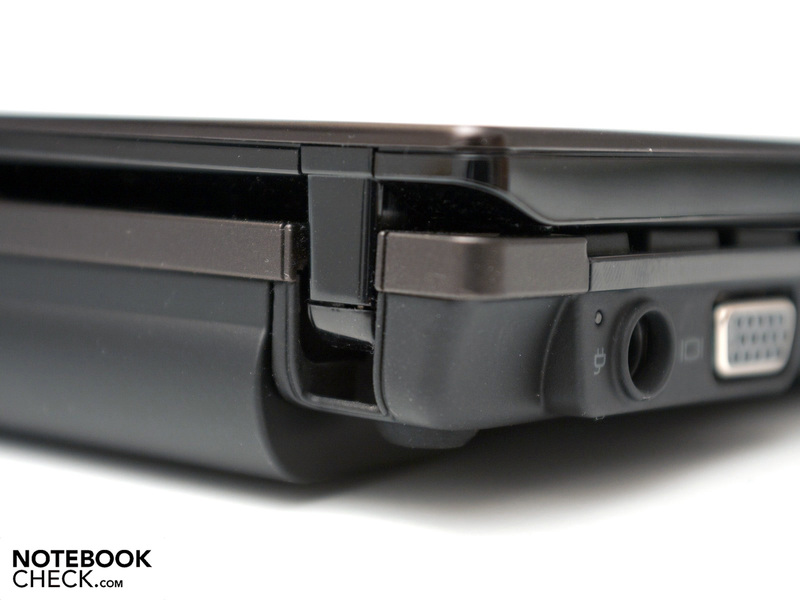 HP has installed two stereo speakers for sound rendering, which are located on the case's front. 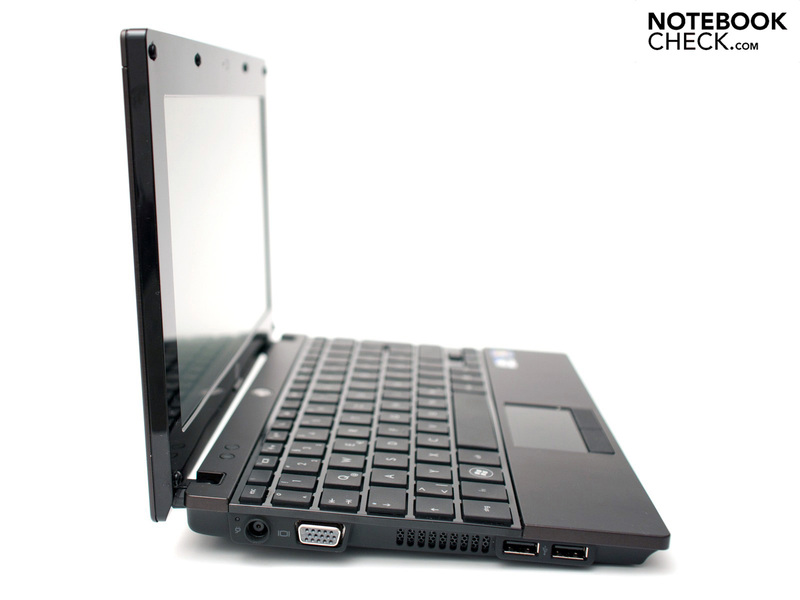 The sound quality complies with the usual netbook standard. The high pitches are rendered clearly and the maximum volume is impressive. You'll have to live without basses and low pitches. Nevertheless, the quality is sufficient for simple videos and podcasts. 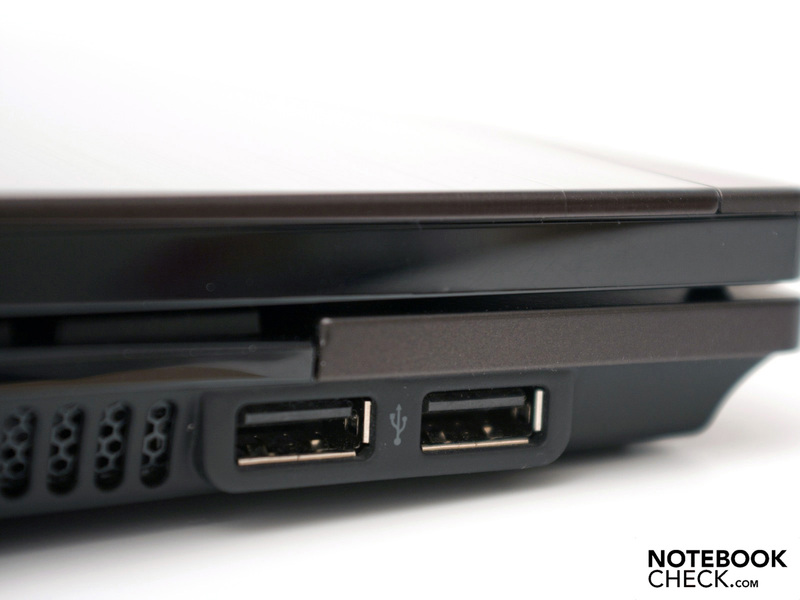 The netbook has a 3.5 mm stereo jack on the right for better sound rendering via external hardware. There is no S/PDIF support. 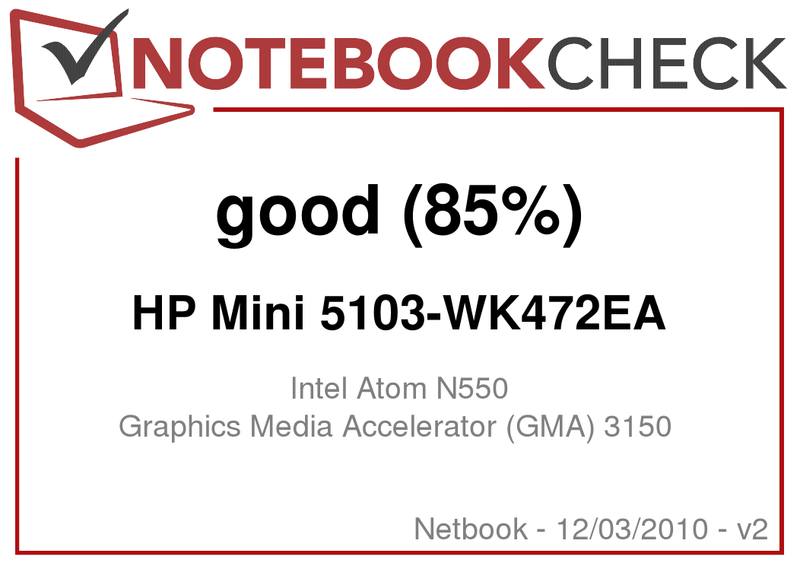 Despite the increased performance, Intel's Atom N550's performance and power consumption ratio has to be called "good". The effective power loss (TDP) is 8.5 watts with the graphics unit. The device consumes a maximum of 11 watts in idle and a maximum of 18 watts under load in our assessment. In order to cope with the power consumption, our top model is equipped with a 6 cell battery. It has an unusually high capacity of 66 watt hours. Smaller alternatives with 46 to 57 watt hours are usually included in this device category. Basically, this is a good prerequisite for a long battery life, whereas the increased weight has to be considered. BatteryEater's Classic test executes a runtime assessment under hardware load with an OpenGL calculation. 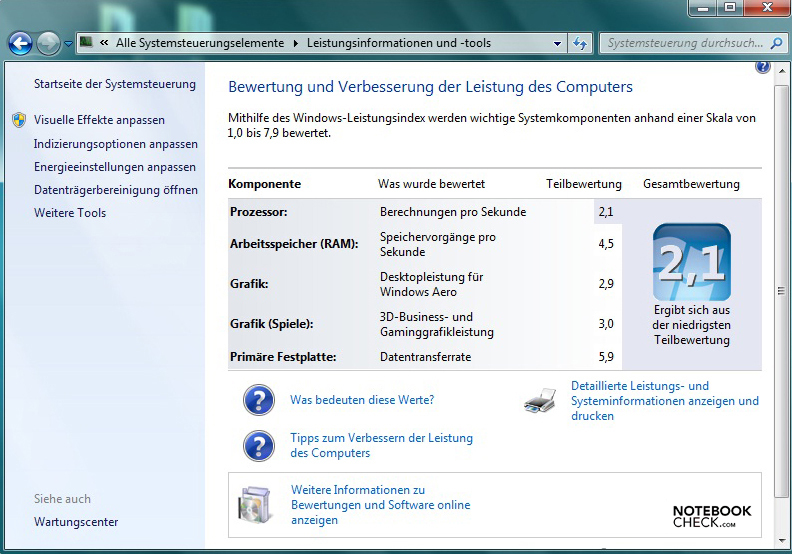 Here, the maximum display brightness, Microsoft Windows 7's high-performance mode, and WLAN are enabled. The large 6 cell battery is drained after good 4 hours and 43 minutes. The routine use assessment is represented by "surfing via WLAN", where a good display brightness is set. A good total of 7 hours and 57 minutes are available for simple internet surfing, as well as checking and writing emails. When the battery is drained and needs to be recharged, you'll need patience. A full recharge from 0 to 100 percent takes a steep 3 hours and 2 minutes. The HP Mini 5103's, respectively the 66 watt hour battery's, biggest advantage is the maximum runtime. It is determined by "BatteryEater's Reader's" test, where reading a text document is simulated. The minimum display brightness (not deactivated), enabled Windows 7's energy saving options and disabled WLAN module are set. A battery load is enough for a remarkable runtime of 11 hours and 18 minutes (678 minutes). The HP Mini 5103-WK472EA business netbook has convincing buying arguments, but also a few drawbacks that should be considered. The design, the high-end case made of an aluminum-magnesium alloy and a good workmanship are on the pro side. 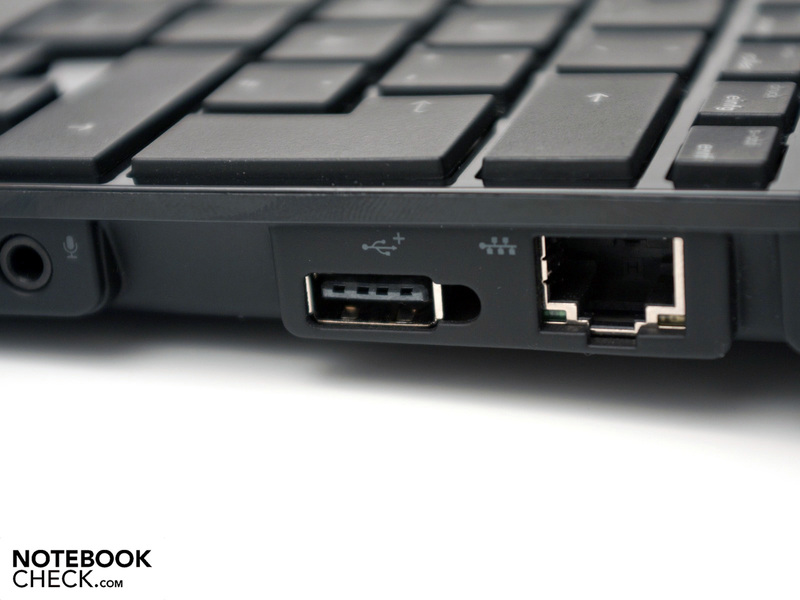 The connectivity corresponds to the current netbook standard, but there is no fast USB 3.0 port, eSATA or an ExpressCard slot. A warranty of only 12 months ex-factory and a poor scope of delivery are further drawbacks for the targeted customers. The island style keyboard with a generous layout, which uses the entire case width is convincing. The touchpad isn't as nice, whereby touchscreen use, respectively an external mouse, would be feasible. The display's function and use with fingers is flawless and the multi-touch gestures are convincing. The display rates are average, but the tranflective display surface allows an acceptable outdoor use anyway. 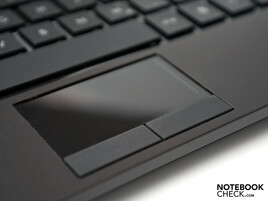 The latest Intel Atom N550's performance and the other components are convincing in office mode. However, HD videos can only be rendered with a maximum of 720p. 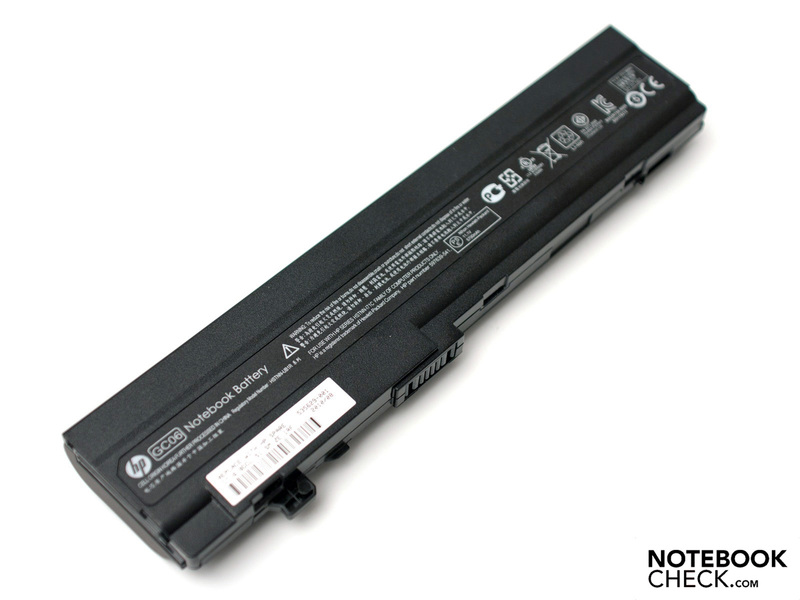 If you can accept a consistently, on a low level, running fan then you will get a good netbook with a convincing battery life of up to more than 11 hours with the HP Mini 5103-WK472EA. The price for the netbook starts at about 405 euro. But the top model with a dual core Atom starts at a steep 637 euro plus extras. Among these: the touchscreen, a UMTS module or a Broadcom Crystal HD accelerator. All devices are now available, whereas a delivery time between 1 and 2 weeks has to be reckoned with for the WK472EA. 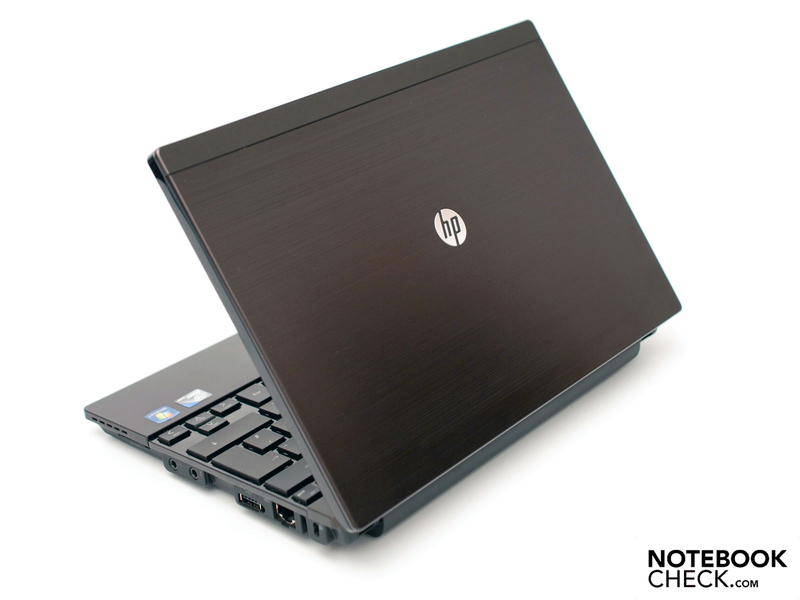 We're testing the HP Mini 5103 business netbook with Intel's latest Atom N550 processor. Depending on the model, a UMTS model (Gobi 2000) is also installed. The island style keyboard convinces with a generous layout. Merely the number "1" key is definitely too small. 2 megapixels allow a high-quality video transmission. The bottom shows itself very plain and clearly arranged. The RAM can be accessed easily via a small cover. In order to replace the hard disk, the entire keyboard has to be dismantled. However, it's not really necessary in view of the good rates. A 6 cell battery with 66 watt hours provides the required runtime – and weight. HDD status LED and a hardware slider on the front. The cardreader can process standard formats (SD, SDHC, MMC). Appropriate for the refresh, there is also a new color available. It's stylishly called "Espresso" and is a combination of black and anthracite. The case is still made of aluminum and magnesium. The stability is remarkable and the material impression is still looking for its equal in this device category. A blue and red netbook is also sold beside the black model. Strong display hinges without a notable teetering. The opening angle is limited by the inward positioning. The adapter is compact and only weighs 190 grams. The mobility characteristics, so battery life. The UMTS module and transflective display, as well as the high-end case made of an aluminum-magnesium alloy in the color "Espresso". 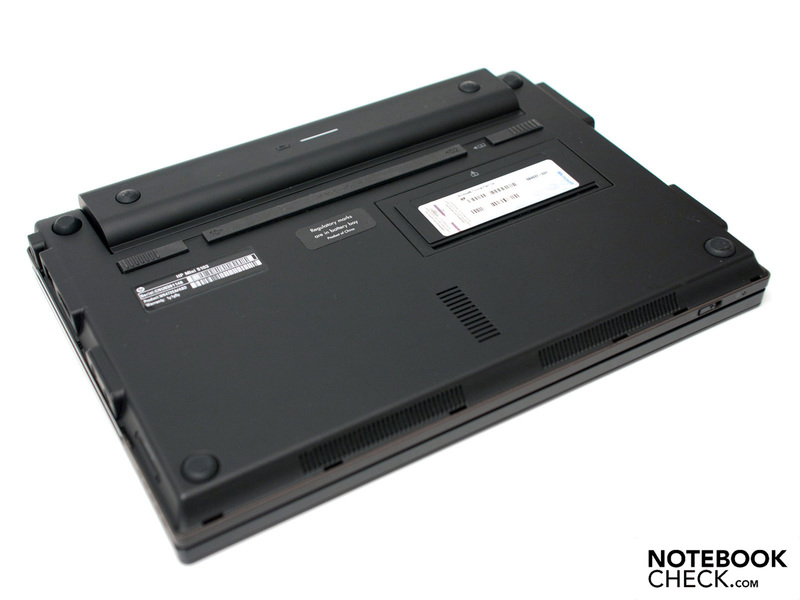 Additional business features, such as an own docking port, an ExpressCard slot or eSATA port. Moreover, we would have liked a quieter fan management. The maximum battery life of over 11 hours in idle mode, the generous island style keyboard, which is a pioneer in this category. 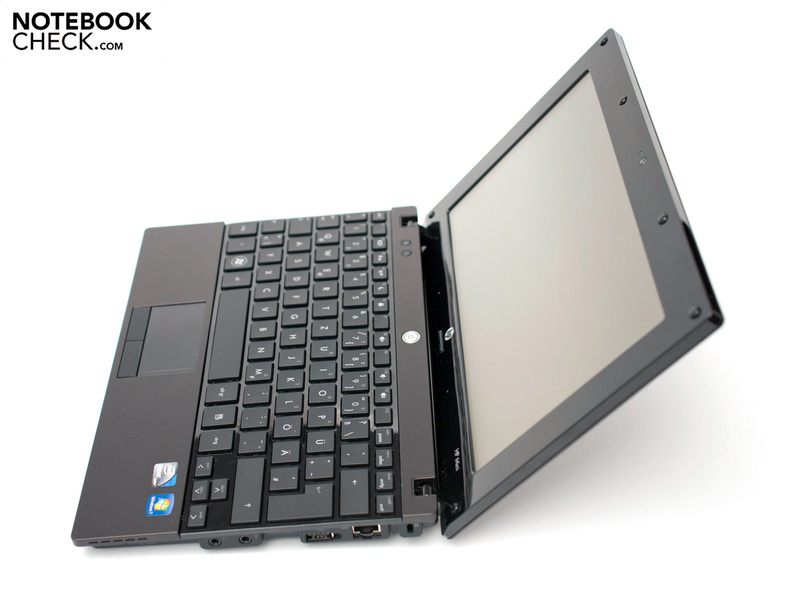 Small netbooks or subnotebooks with business qualities. Among others the immediate opponent, Asus Eee PC 1016P with an aluminum case and Intel N455, Dell's Inspiron Mini 1018, Lenovo's ThinkPad Edge 11 with strong hardware in a similar price range or the new Lenovo IdeaPad U260 Subnotebook with a 12.5 inch screen.